If you are suffering from teeth that are damaged or broken, have lost teeth due to injury or decay, or are simply unhappy with the appearance of your smile, then dental implants could be the perfect solution for you. Capable of transforming not only the look, but also the function of your teeth, dental implants are fast becoming one of the most popular choices for patients who require cosmetic or restorative dentistry. 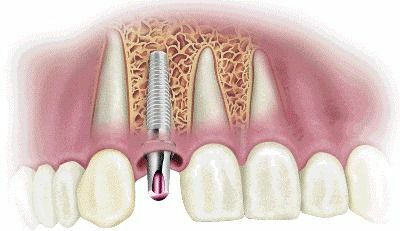 Dental implants are now affordable and accessible to a wide variety of patients. A titanium post. This is the part of the implant that is inserted into your jaw bone, fusing to it to form a solid, secure foundation for the visible element of the tooth. Titanium is biocompatible. This means that it is extremely unlikely to be rejected by your body, contributing to the procedure’s extremely high success rate. An abutment. Once the post has become fully fused with the jaw bone, the abutment is used to secure it to the visible element of your implant. A porcelain crown. Porcelain crowns can be created in any shade you desire, making it possible to match them to the color of your existing teeth, ensuring your implant is discreet and natural. Can I have more than one dental implant placed in one procedure? 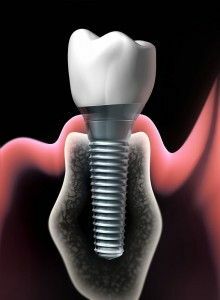 We often see patients who would like to have more than one individual tooth replaced with a dental implant at one time. Assessing suitability for a dental implant is quite a complex procedure, and so it is actually beneficial and less time consuming for the patient if we look at completing multiple implants in one treatment package. What happens during dental implant surgery? Dental implant surgery usually takes place over two appointments, which are in addition to your consultation and any planning sessions. In the first part of the process, your surgeon will provide suitable anesthetic and/or sedation and insert the implant posts into pre-determined locations in your jaw bone. You will then be fitted with a temporary crown until the implant has successfully fused with the bone, in a process called osseointegration. This can take anything up to six months. Once your surgeon is satisfied that osseointegration has occurred, he will invite you into the office so that your final, custom-designed crowns can be fitted. In order for osseointegration to be successful, a patient needs to have adequate jaw bone quality and quantity. Imaging tests such as CT scans and x-rays are required to get a clear picture of the overall position and health of your teeth. If these tests show that your jaw bone is unlikely to support an implant, it may be possible for you to have a bone graft. This is where bone is added to your jaw to make it stronger and more likely to support your prosthetic. There are numerous reasons why dental implants are one of the most popular cosmetic and functional dental solutions in the world today. These include their durability, their permanence, the discretion that they offer and the high success rate of the procedure. For more specific information on why so many patients are choosing dental implants, please check out our page “Benefits of Dental Implants”. If you have further questions about dental implants, please do not hesitate to contact our experienced and reassuring team, delivering exceptional quality dental services to patients living in the Brigham City, UT area.